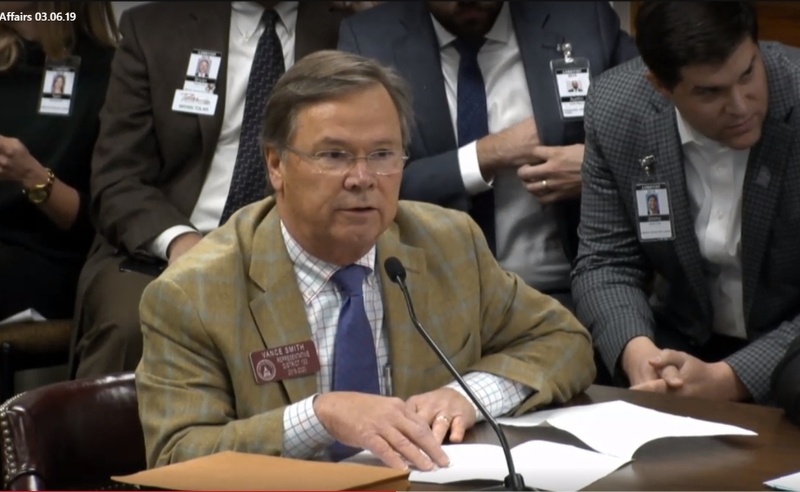 Georgia Rep. Vance Smith, a Republican Pine Mountain, north of Columbus, has not given up his efforts to prohibit cities and counties from regulating design standards for one and two-family residential properties. House Bill 302, which Smith authored, did not make it out of the House Rules Committee during the just-completed session of the General Assembly. Oconee County’s two representatives, Houston Gaines from the 117th House District and Marcus Wiedower from the 119th, voted in favor of the resolution, as did Spencer Frye from the 118th in Clarke County. The Oconee County Board of Commissioners unanimously approved a resolution opposing House Bill 302 and the identical Senate Bill 172 in February, and commissioners were outspoken in opposition to them, saying they violated home rule. “We regularly approve study committees to look into various issues,” Gaines said of his vote on House Resolution 591, which passed 118 to 46. I had offered Gaines and Wiedower on Monday the opportunity to comment on their votes, and they replied via email on Tuesday. House Bill 302 remains alive in the House and can be taken up again in January of 2020 when the General Assembly reconvenes. The same is true for Senate Bill 172, which also never made it out of committee. The bill listed the “building design" elements of one or two-family dwellings that cannot be regulated by local governments. These were exterior building color, type or style of exterior cladding material, style or materials of roof structures or porches, exterior nonstructural architectural ornamentation, location or architectural styling of windows and doors, including garage doors, the number and types of rooms, the interior layout of rooms, and types of foundation structures approved under state minimum standard codes. Exceptions were made for historic districts or landmarks, regulations that are a requirement of applicable state minimum standard codes, the regulation of manufactured homes consistent with code for such homes, or ordinances adopted as a condition of participation in the National Flood Insurance Program. The bill was amended to make exceptions as well for overlay districts. The bill enjoyed the support of home builders and realtor associations. 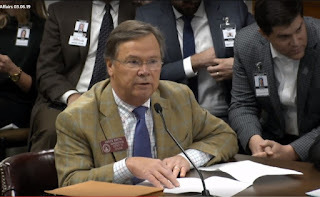 Oconee County was targeted in discussions of the bill because it has greatly restricted the use of slab foundations, over the protests of builders. The local “requirements of residential design mandates exist outside the realm of building integrity and have no connection to the safety and welfare of the citizens of Georgia,” the resolution states. House Resolution 591 creates a Study Committee of five members of the House of Representatives appointed by Speaker David Ralston. The Committee is to be abolished on Dec. 1 of this year. Smith was joined by four Republicans and one Democrat in authoring the resolution. The Republicans were Tom McCall of Elberton, John Corbett of Lake Park in Lowndes County, Jon Burns of Newington in Screven County, and Dale Washburn of Macon. The sole Democratic sponsor was Calvin Smyre of Columbus. McCall and Burns had joined Smith as a sponsor of House Bill 302. Frye from Clarke County’s 118th House District had been a sponsor of House Bill 302 but was not a sponsor of the resolution. Frye is a Democrat. Gaines’ 117th House District and Wiedower’s 119th House District include parts of Clarke County as well. In the final vote on the resolution, 32 Democrats and 14 Republicans voted against. The House has 75 Democrats and 104 Republicans, with one seat vacant.